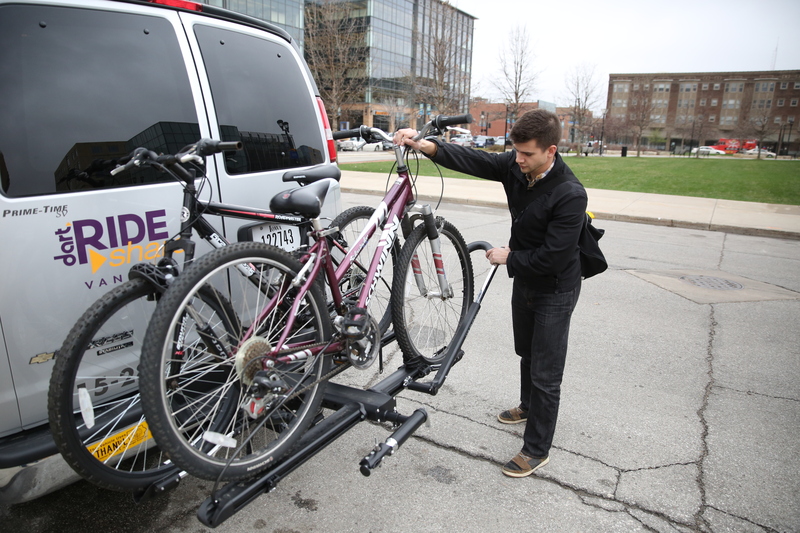 Ride for a Reason: RideShare now offer bike racks! No time for the gym? Want to save even more money on gas? Ride your bike to and from your pick up location or pump those pedals during your lunch break! DART RideShare will provide free installation of a bike rack at the request of riders in a vanpool. Racks are fitted to the rear of the vehicles and hold up to two bicycles. To request a bike rack on your van, please call RideShare Customer Service at 515-288-RIDE (7433) or email rideshare@ridedart.com.